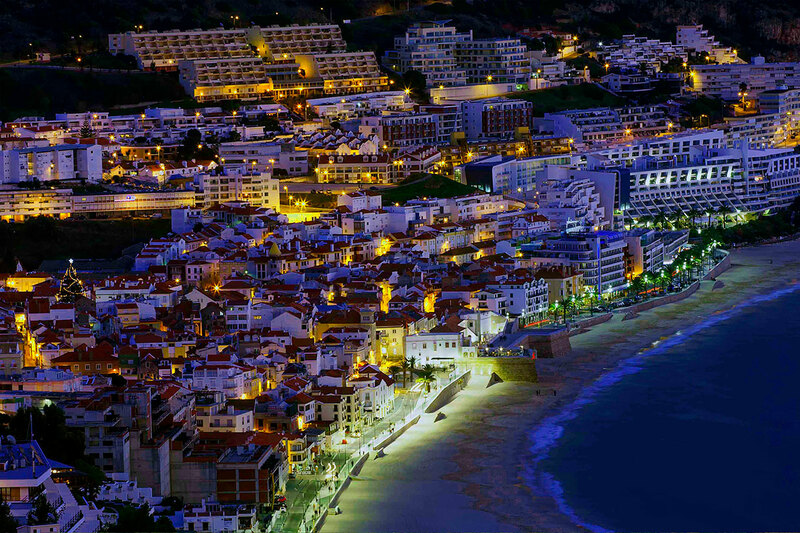 A stroll through the Sesimbra Marginal street, day or night, is the best way to come in first contact with this fishing village, with more than five centuries of history. 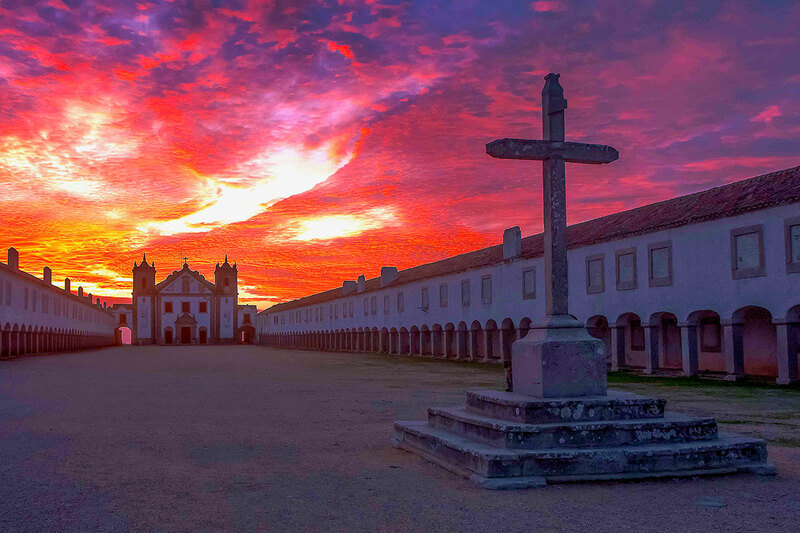 Between the Ouro beach, to the west, and the California beach, to the east, lies the Fortress of Santiago, the sixteenth century monument and a terrace overlooking the sea. 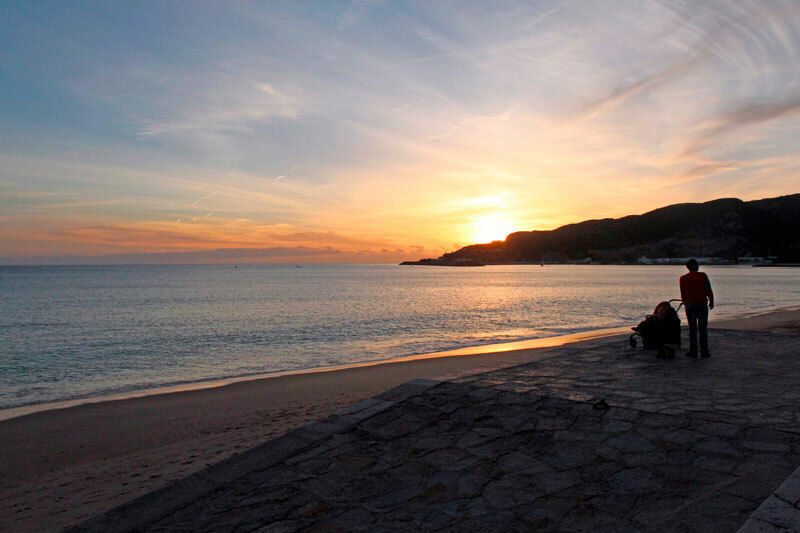 Although this is a village mainly associated with beach and fishing, the municipality of Sesimbra has much of its territory in rural areas, or "o campo" as it is commonly referred to. 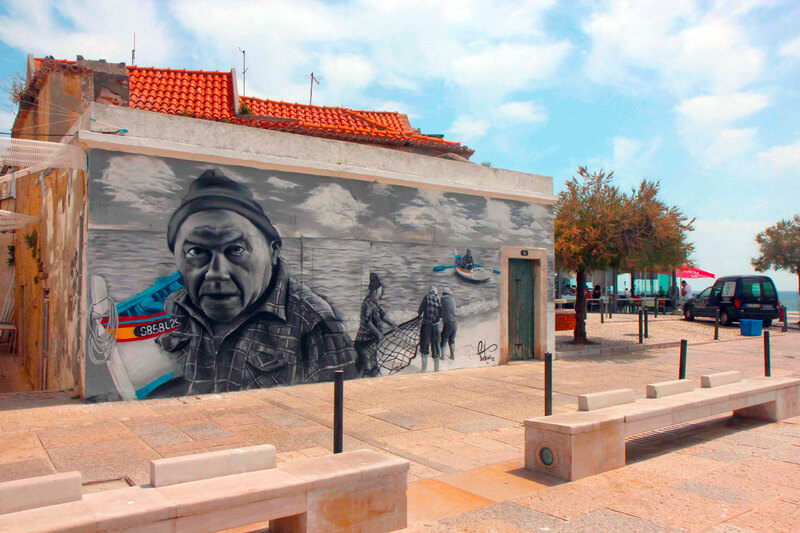 Near the village of Sesimbra, Sampaio Milling, an old cereal grinding mill recovered and turned into a museum by the local authorities, provides an insight into this connection to the rural world. On weekends, the building hosts a flavours market where local farmers sell fruit, vegetables, bread, honey, confectionery and cheese. 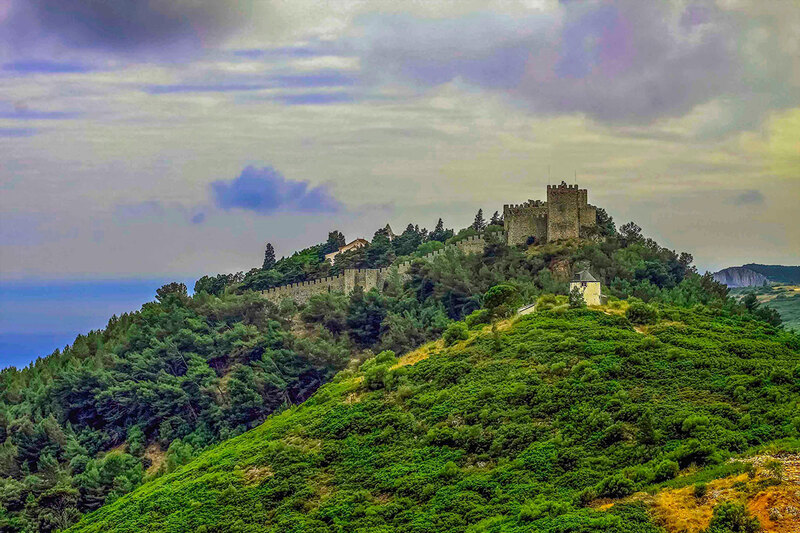 When walking through the village it is impossible to ignore the imposing castle that rises on one of the hills overlooking the village. 850 years old and classified as a national monument since 1910, the Sesimbra Castle is the last castle located by the sea to keep its medieval characteristics. Access is possible through footpaths which require a good physical condition, or by car. Inside you can walk around and enjoy a privileged view over the village or visit the exhibitions held in the two towers. 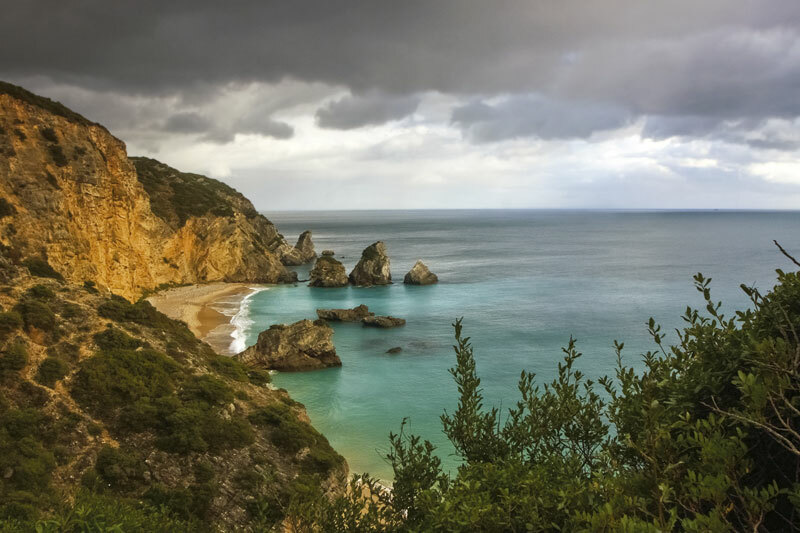 By land or by sea, the territory of Sesimbra can be experienced in many ways. In the vicinity of the Harbour there are companies offering scuba diving, canoeing, sailing, hiking, boating, biking and more. The Lagoa de Albufeira is located on the northern coast of Sesimbra. It was once the mouth of the River Tagus and every year around Easter, it is opened so that its waters can regenerate and the organisms that inhabit it maintained. 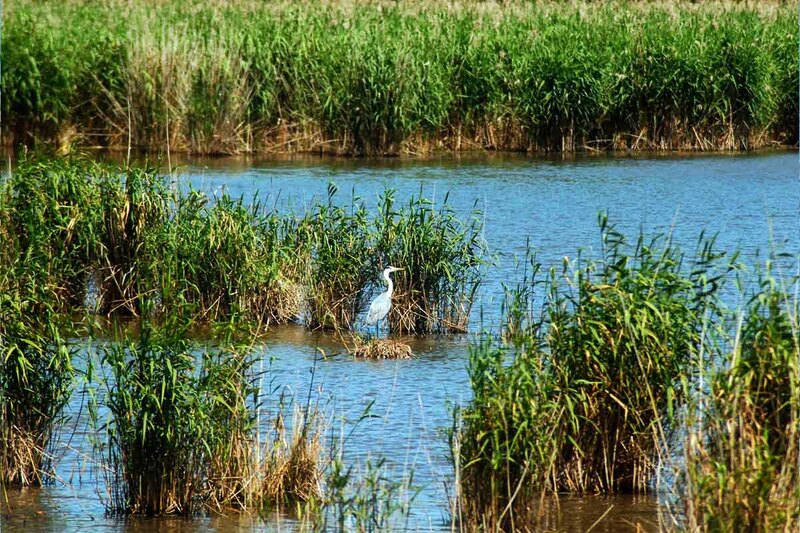 At the end of the lagoon there is the Lagoa Pequena and the Lagoa da Estacada, part of the National Ecological Reserve, where the Interpretive Centre Lagoa Pequena is located, one of the five most important crossing and nesting points of birds in Europe. The centre is open to the public and organizes guided tours. In 2014, the City Council challenged a group of artists to paint the doors and windows of the Old Village Urban Centre. The result was surprising. Since then three more editions have taken place bringing to life nearly fifty doors, windows and walls.. In addition to contributing to the improvement of the urban landscape, the works have become another tourist attraction for the village. Around 15 kilometers from Sesimbra, towards the west, we encounter what is probably one of the most stunning sceneries in Portugal: Cabo Espichel, from which we highlight the dinosaur footprints tracks, which can be visited through a hiking trail, and the interior of the Church of Our Lady of Cabo Espichel. 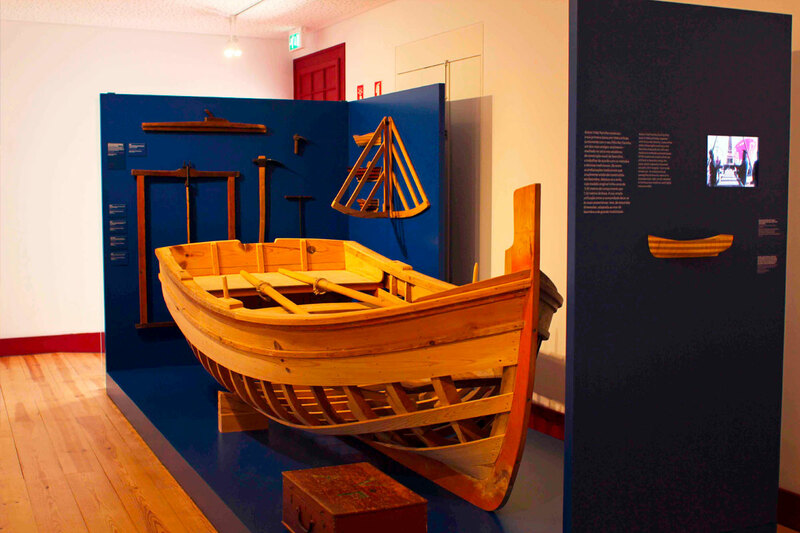 At the Sesimbra Maritime Museum in the Fortress of Santiago, you can learn about Sesimbra’s connection to the sea and fishing through historical evidence that transports you back to 5000 years ago. In an organized and systematic manner, new technologies coexist ,side by side, with the know-how of seamen. The reception is located next to the Tourist Office at the monument entrance. After purchasing the ticket and being informed about the context, visitors can circulate through the various areas and choose how best to organize their own visit. In July and August, the museum is open to the public Tuesday to Sunday from 3.30pm to 7pm and from 8.30pm to 11pm. A visit to Sesimbra cannot end without tasting its most typical sweet: Farinha Torrada. A family tradition, “Farinha Torrada” is associated with the fishing activity, as it was taken to sea by fishermen some considering it the "energy bar" of seamen. It is made of flour, chocolate, sugar, lemon and cinnamon and its appearance consistent and shaped like a cube or rectangle. 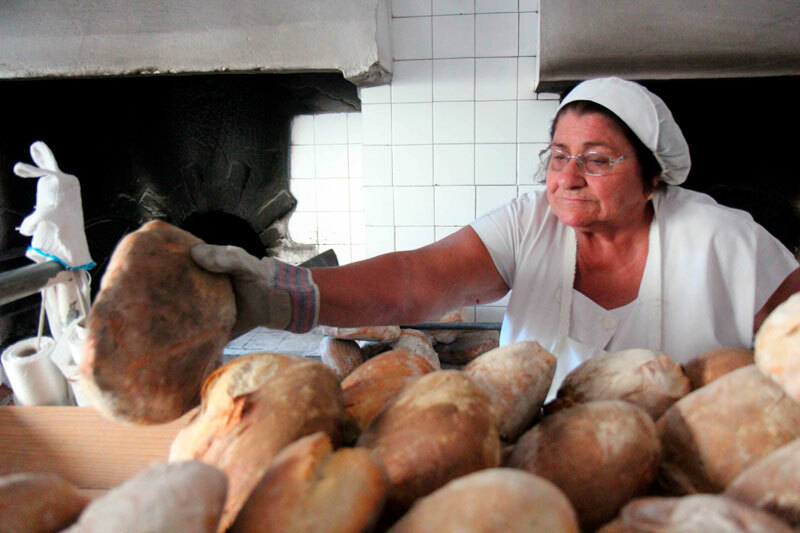 The City Council registered the brand and recipe and Farinha, made the traditional way, can be found at many local establishments. 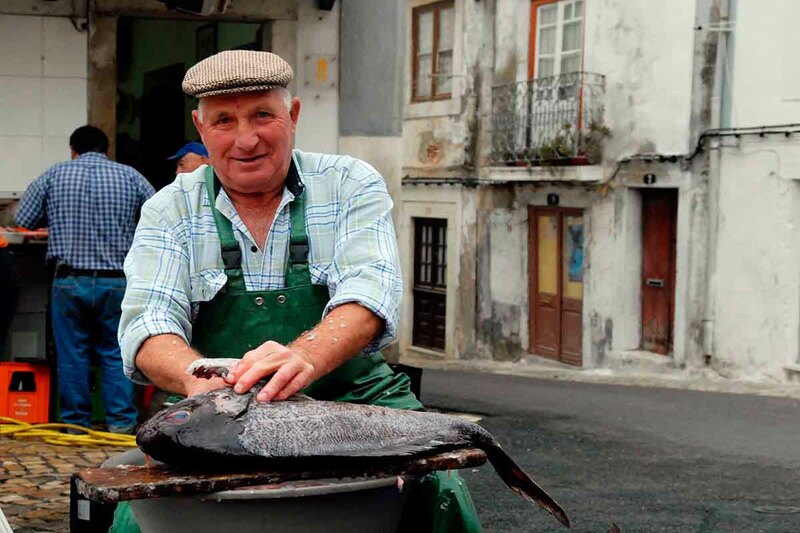 In addition to the beaches, Sesimbra is known for its fish, considered one of the best in the world. The characteristics of the water, the artisanal fishing techniques used and the way it is prepared by local restaurants make it unique. In the summer, the typical barbecued fish is the most sought after dish, leaving an unmistakable and irresistible aroma in the air. Although this is the most traditional way of preparing fish, each year more and more restaurants present innovative dishes that have brought added value to Sesimbra and its fish. 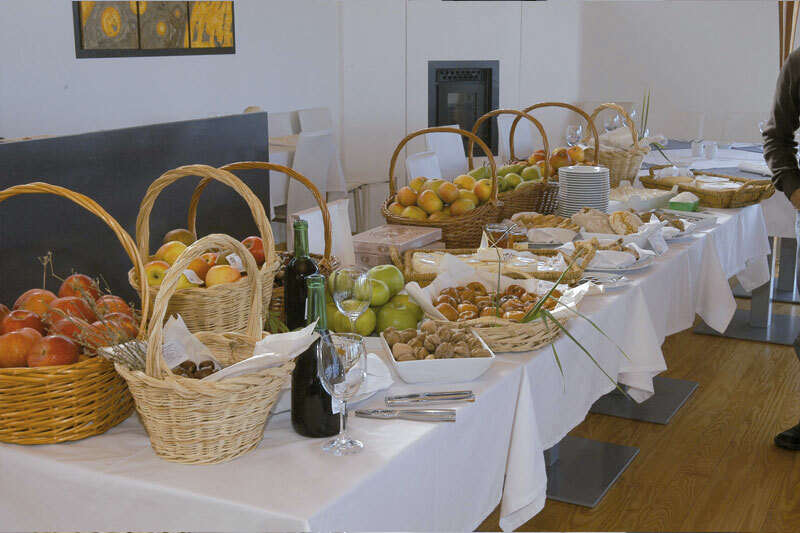 A holiday or a visit to Sesimbra are only truly complete when you taste its fish! When we arrive in Sesimbra, our gaze is immediately held by the immensity of the sea. The bay, flanked by Serra da Arrábida to the east and by the Harbour to the west, stands out in a perfect curve. 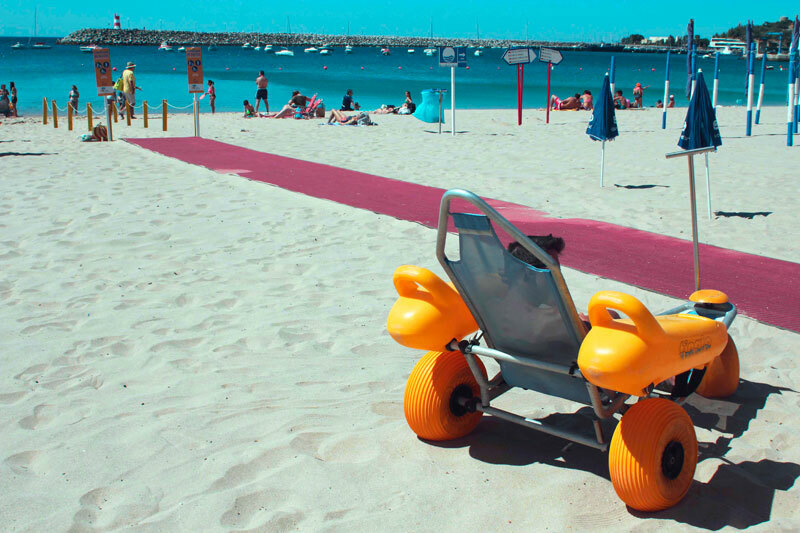 The most inclusive beach of Portugal in 2017, was the Ouro beach in the village of Sesimbra. 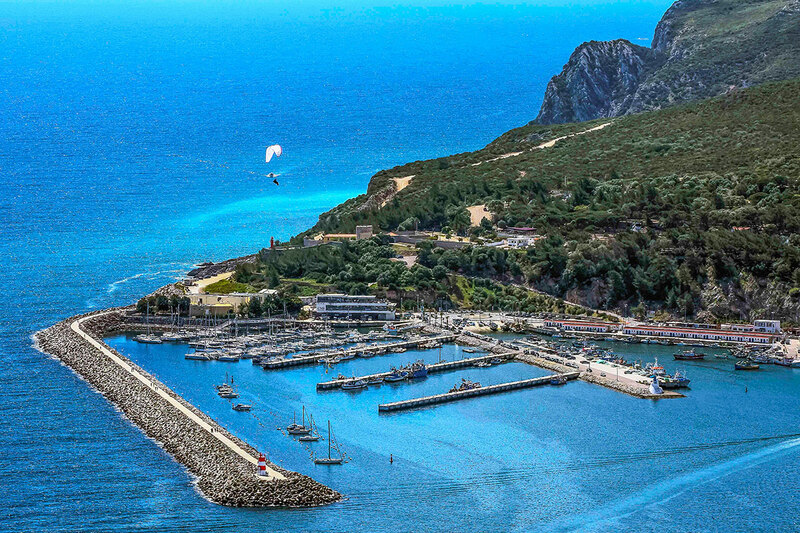 Although essentially associated to the sea, the municipality of Sesimbra has much of its territory in rural areas, or "campo" as it is commonly called.